It’s Fall and we have a few recipes designed to tempt your tastebuds and warm your heart — and body — as the crisp, cool weather drives us outdoors. A full day’s menu that ‘s fun to prepare and filled with good stuff. This month’s offerings: For breakfast, a berry and nut porridge guaranteed to start your day right; a mini-quiche for a special portable lunch or snack, and for dinner, the ultimate comfort food, a lasagna you can whip up in no time with no hassle. If you have favorites of your own to share, send them along to our MPN Kitchen Master Chefs at ourMPNforum@gmail.com. 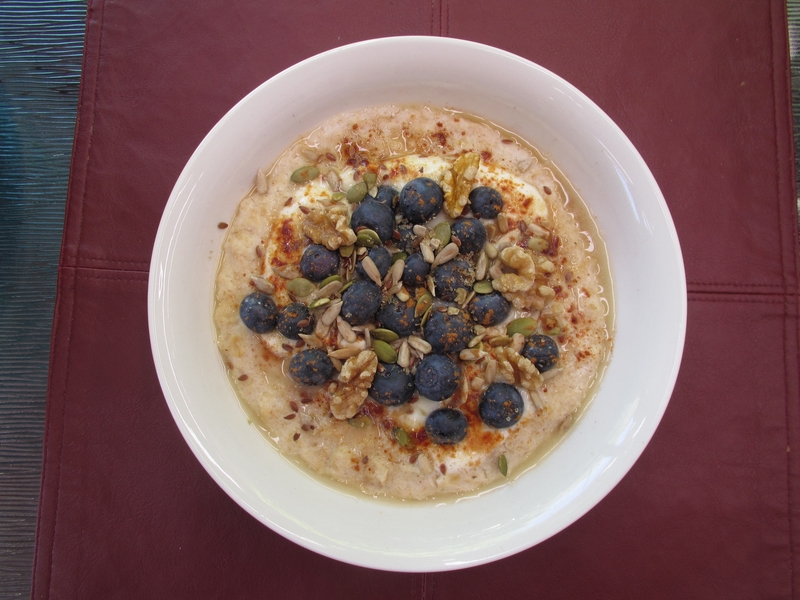 Oats have a low glycaemic index (GI) and therefore provide long lasting energy, so they made a great breakfast choice. Oats and oat bran are also high in soluble fibre, which assists in maintaining a healthy cholesterol level. Blueberries, walnuts and cinnamon are all excellent sources of antioxidant flavonoids and also add plenty of color and flavor. white, raw or brown sugar. For one serve, place 1/3 cup oats and 2 tbsp oat bran in a breakfast bowl and cover with low fat milk. Microwave on med-low for 3 minutes. Stir and add extra milk or water to achieve your desired consistency. Cook for an extra 2-3 minutes or until smooth and creamy. Enjoy topped with natural yoghurt, blueberries, walnuts, seeds, cinnamon and sprinkle with raw or brown sugar to taste. 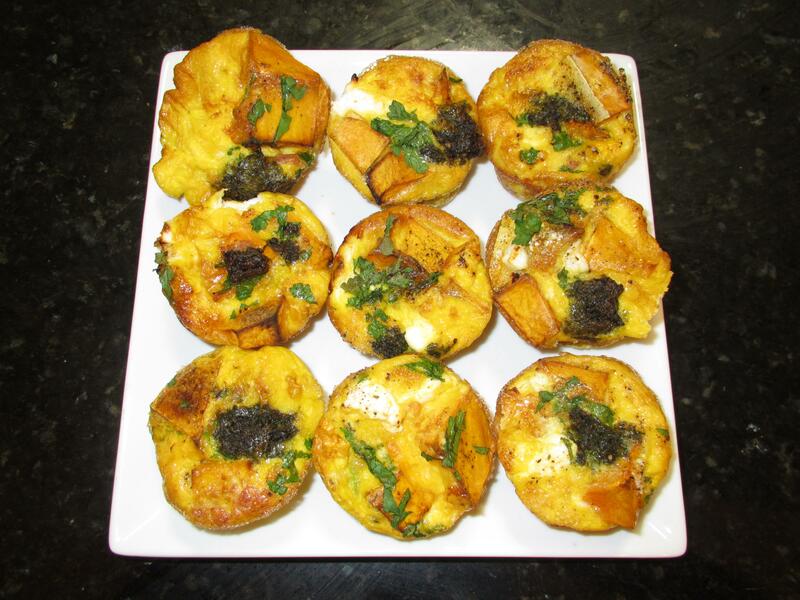 Sweet potato and pesto mini quiches. These little quiches make great snacks or a tasty office or school lunch. They are high in protein from the egg and feta and rich in flavonoids from the sweet potato, pesto and herbs. I like to bake them on the weekend as they can be kept in the fidge for up to 3 days (if the teenagers don’t eat them first!). Bake sweet potato brush with olive oil in the oven until soft and golden. Spray or brush a muffin pan with olive oil and half fill with baked sweet potato pieces. Fill to ¾ with beaten egg and top with 1 tsp pesto and 1tsp feta and sprinkle with herbs. Bake for 15 minutes at 160°C or until golden. Serve with a colorful salad. In the summer when I have plenty of basil growing in the garden I make pesto and freeze it in small glass jars to use throughout the year. Pesto is delicious on pizzas, in pasta dishes, risottos and in sandwiches with cheddar cheese and salad. ½ cup pine nuts toasted until golden. Add olive oil until smooth (quantity of oil will depend on the amount of the basil used). Add parmesan cheese and salt and store in jars in the freezer. This receipt does not require lasagna noodles to be pre-cooked. And once assembled in advance of dinner and refrigerated. In a big bowl, mix together the spinach, ricotta, egg, seasonings and half the mozzarella, Cover the bottom of a 9×12 baking pan with your spaghetti sauce, then three uncooked noodles, half your cheese/spinach mixture, cover that with sauce, then another layer of three lasagna noodles, spinach/cheese mix, sauce, a top layer of noodles and sauce. Top with the reserved mozzarella or another cheese. Right before you pop into a 375 degree oven, pour the cup of water around the four edges of your lasagna, cover and seal with aluminum foil. Bake for 75 minutes. 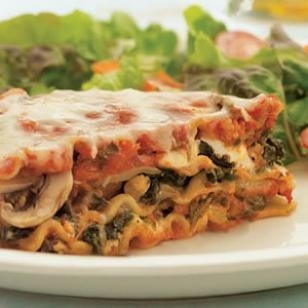 Instead of spinach and cheese mix one layer of the lasagna can be meat. One favorite is ground turkey mixed with fennel seed, garlic, oregano, red pepper flakes, salt and pepper. © MPNforum.com, 2012. Unauthorized use and/or duplication of this material without express and written permission is strictly prohibited. Excerpts and links may be used, provided full and clear credit is given to MPNforum.com with appropriate and specific direction to the original content. They look great, can’t wait to try them.